One criticism often received by recipes involving cooked onions, garlic and other alliums is that the heating process destroys much of the allicin that leads to its protective effects. While this is partially true, knowing how to optimize garlic before eating it raw or cooked will maximize garlic enzymes and give them the best chance to survive meal preparation. 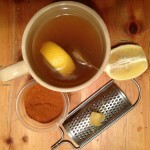 I’ll share a very simple recipe to use regularly during the cold and flu season that will supercharge your immune system. With their unique combination of flavonoids and sulfur-containing nutrients, allium vegetables–such as garlic–belong in your diet on a regular basis. There’s research evidence for including at least one serving of an allium vegetable–such as garlic–in your meal plan every day. If you’re choosing garlic as your allium family vegetable, try to include at least 1/2 clove in your individual food portion. If you’re preparing a recipe, you should use at least 1-2 cloves. Washington State University showed that garlic is 100 times more effective than antibiotics at fighting disease causing bacteria commonly responsible for foodborne illness. Its anti-viral potency is perhaps even more effective. Allicin, one of garlic’s most highly valued sulfur compounds–stays intact for only 2-16 hours at room temperature when it is present in purified (extracted) form. 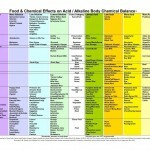 But when it’s still inside of crushed garlic, allicin will stay viable for 2-1/2 days. If you give your chopped/crushed garlic time to sit before changing its temperature (through cooking) or its pH (through the addition of acidic food like lemon juice), it will give the alliinase enzymes in garlic an opportunity to work on behalf of your health. For example, in the absence of chopping or crushing, research has shown that just 60 seconds of immediate microwaving will cause garlic to lose some of its cancer-protective properties. Before cooking or adding chopped garlic to lemon juice, let it sit for at least 10-15 minutes to maximize its potency. The following recipe has minimal preparation time and maximum benefits to your health, especially during cold and flu season. I call them shots because they’re a cocktail of beneficial immune boosting constituents inside a lemon half that you can eat in just a few bites. My recommendation is to have one or two of these per day during peak flu activity when viral transmission is at its highest (usually Jan-Mar). 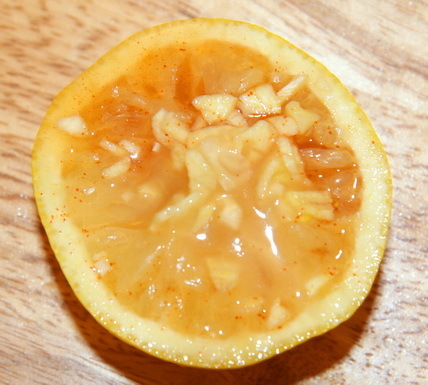 Step 2 – Squeeze all the lemon juice out of one half and place in a small bowl. Keep the half you extracted the juice from for Step 6 (store the other half for later use). Step 3 – Chop the garlic and it let it sit for at least 10 minutes. Then add it to the lemon juice with the cayenne pepper. Step 4 – Add the honey to the mix and stir all ingredients well. Consume the finished product in its entirety including all the lemon pulp. Hold it in your hand and cup it as if you’re holding a fruit. Repeat recipe in 4 hours with the other lemon half. Viruses hate this information, so spread the word.